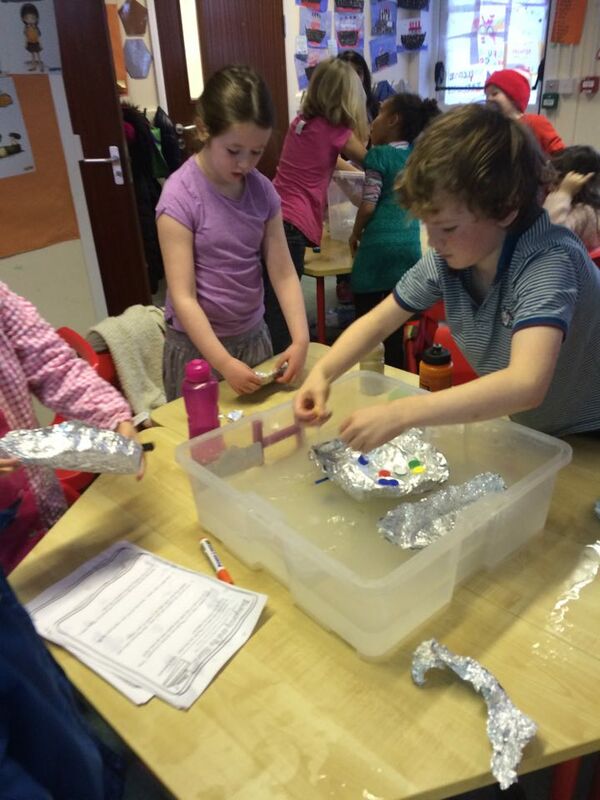 Sending out an SOS ; The Titanic! 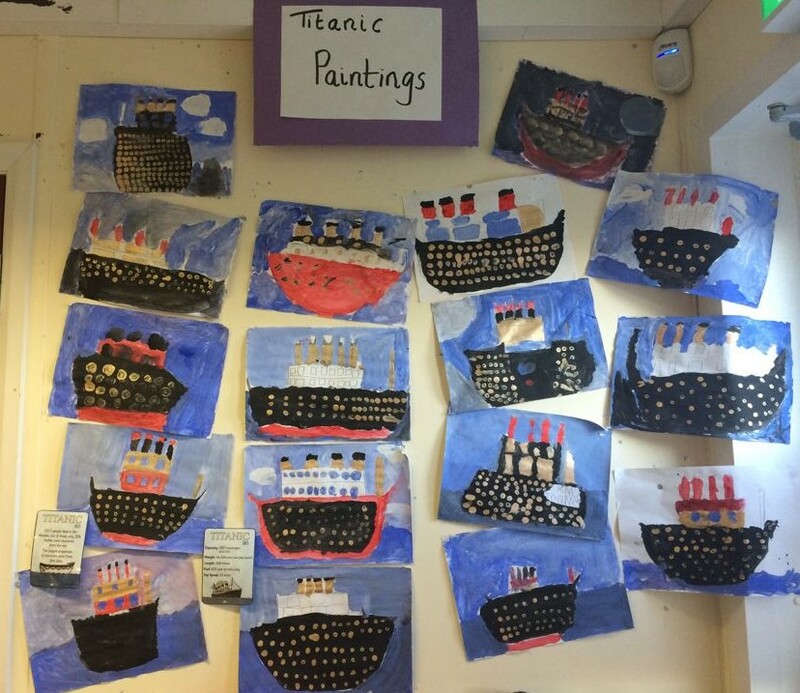 We have been learning all about the Titanic. 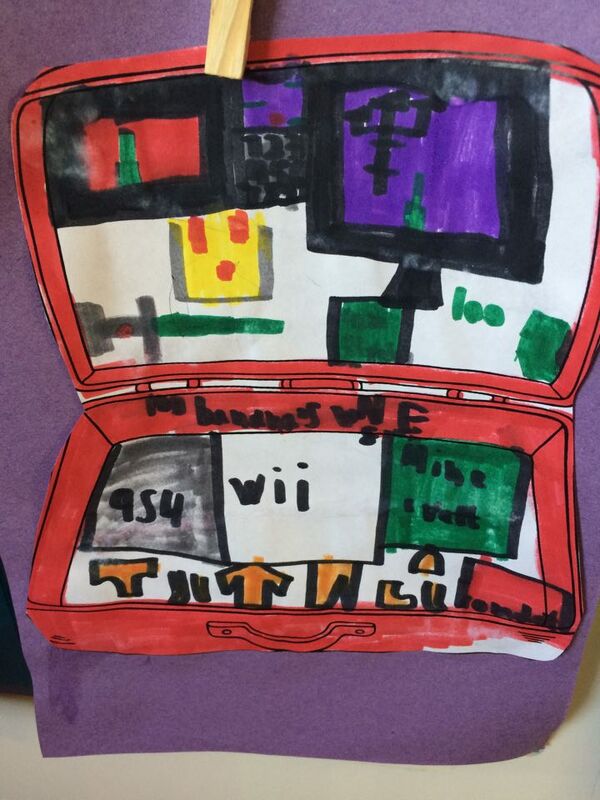 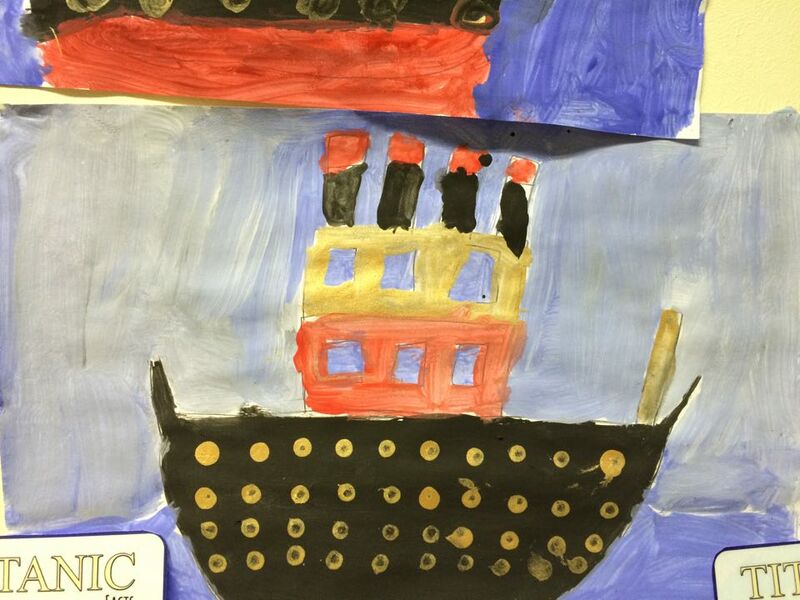 We have learned through Art, English, Science, History, Geography and Drama. 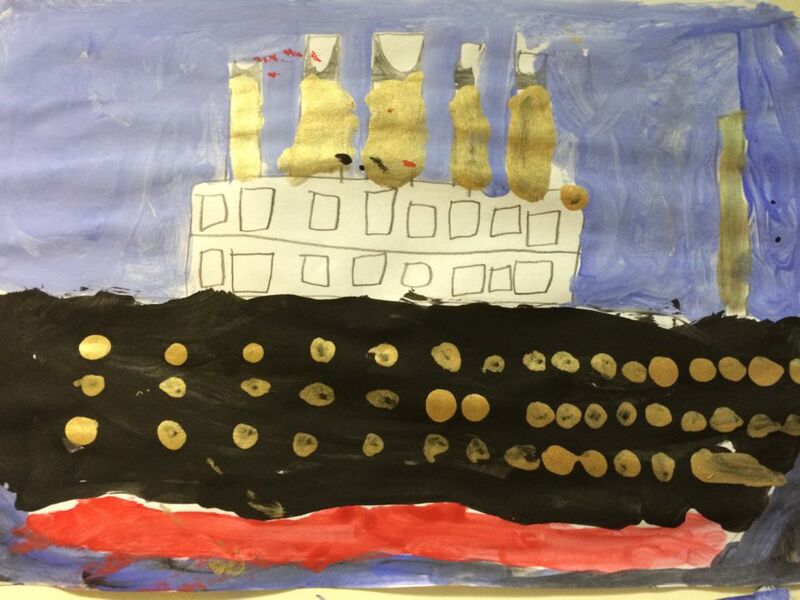 What did the Titanic look like? 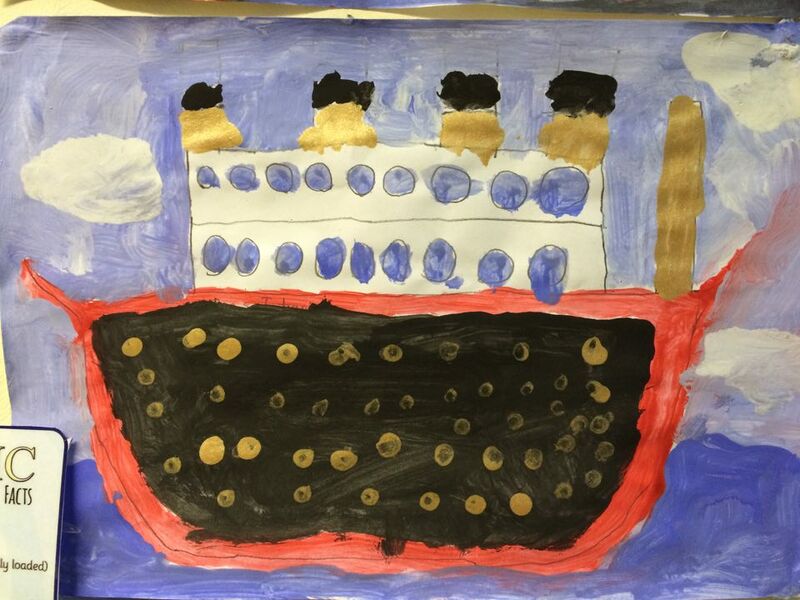 We made beautiful Titanic paintings and learned about the four smokestacks. 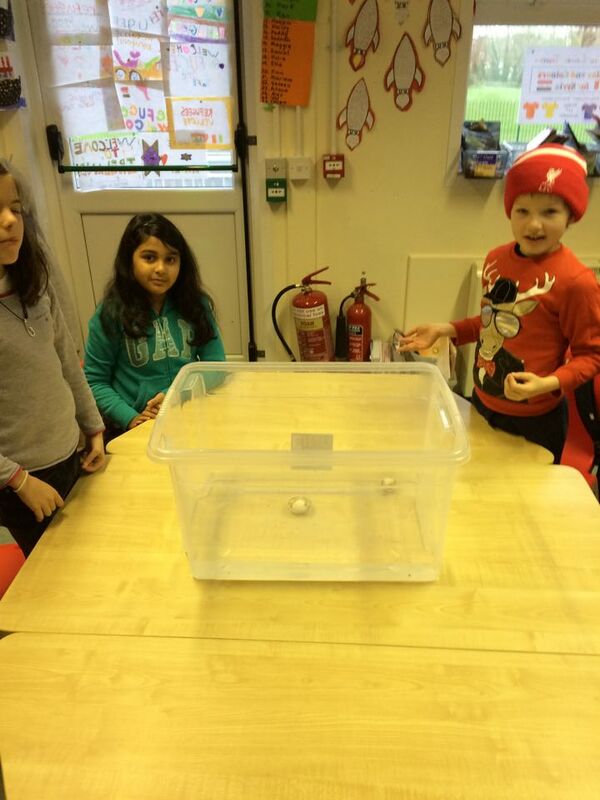 One of the smokestacks didn’t work! 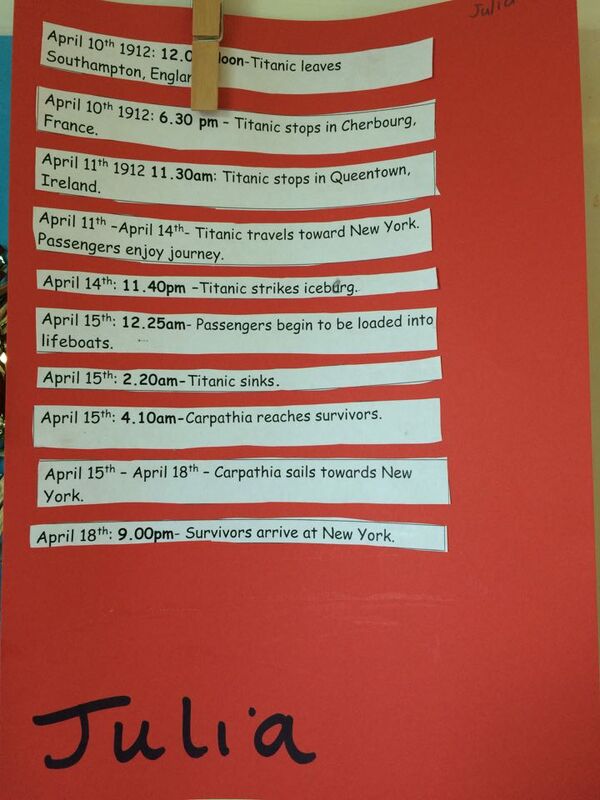 What happened on the night the Titanic sank? 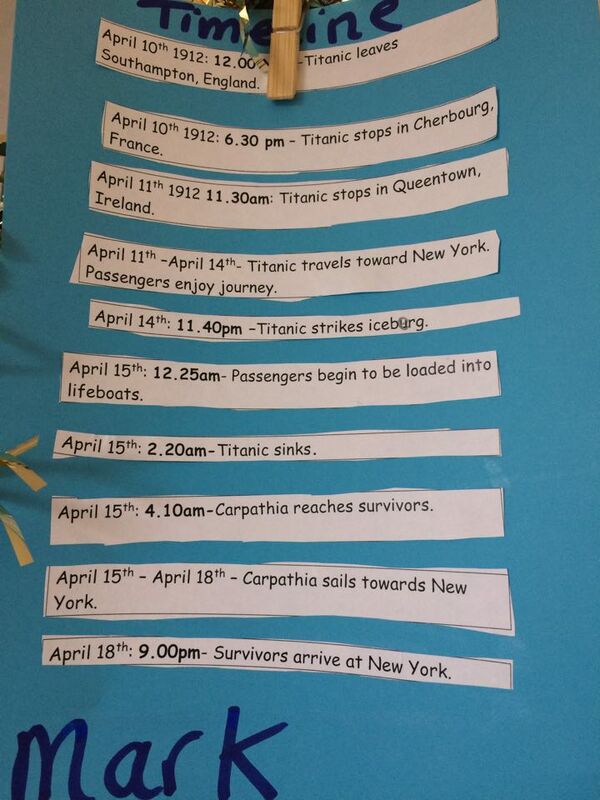 Then we learned about the sequence of events that led to the sinking of the ship. 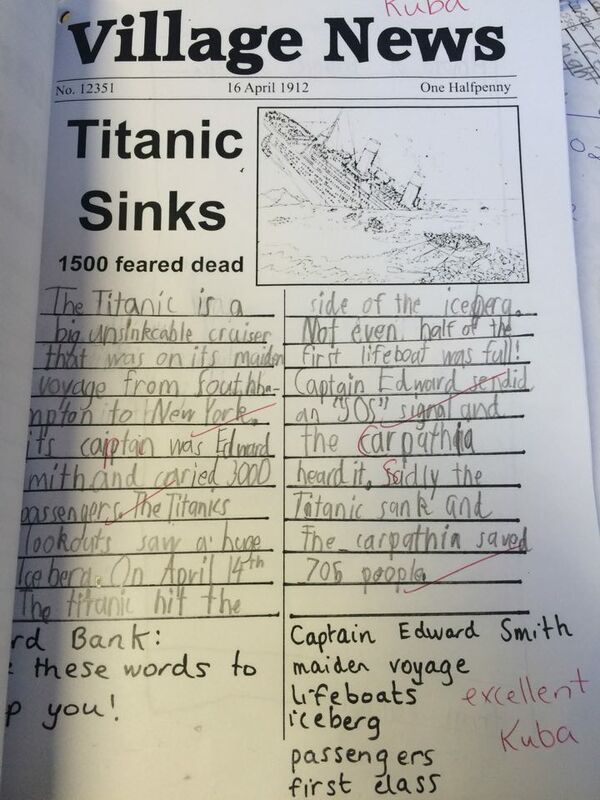 What did Captain Edward Smith do? 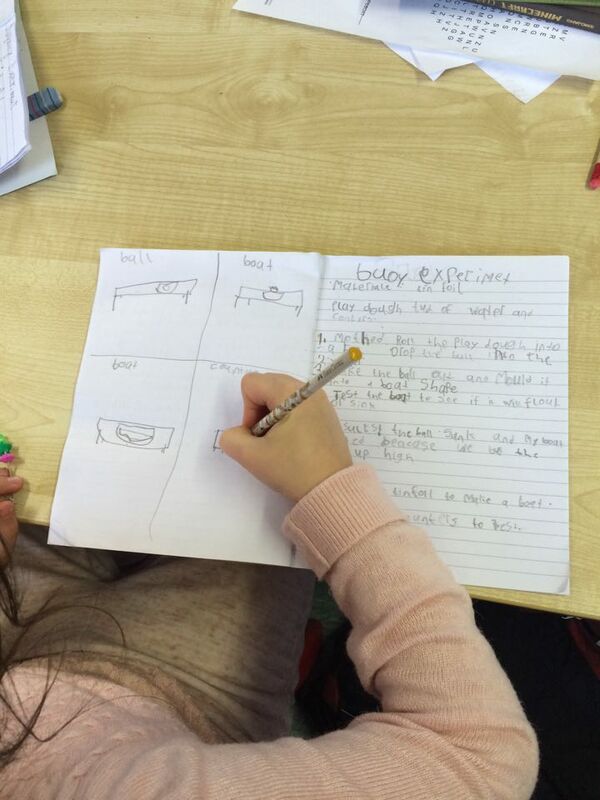 We have been practicing morse code and we can all make the SOS signal in Morse Code. 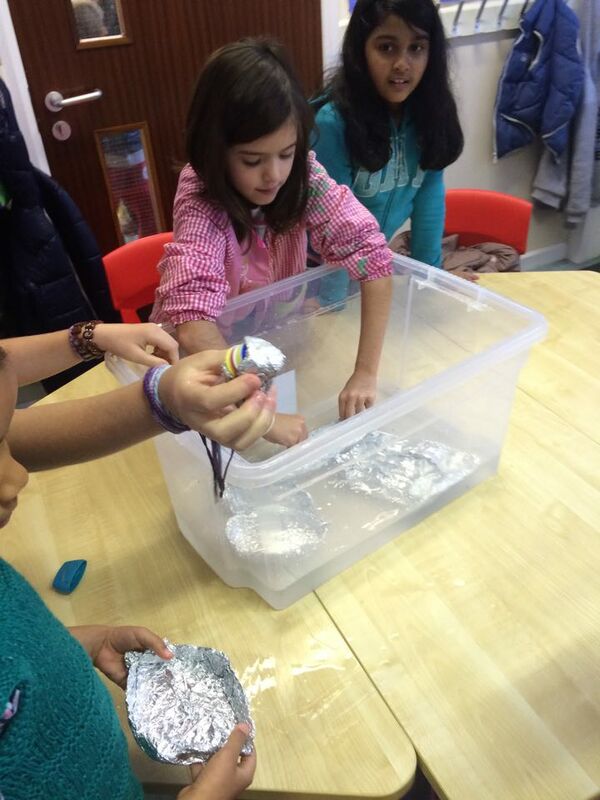 Have a look at our class sending out the SOS signal! 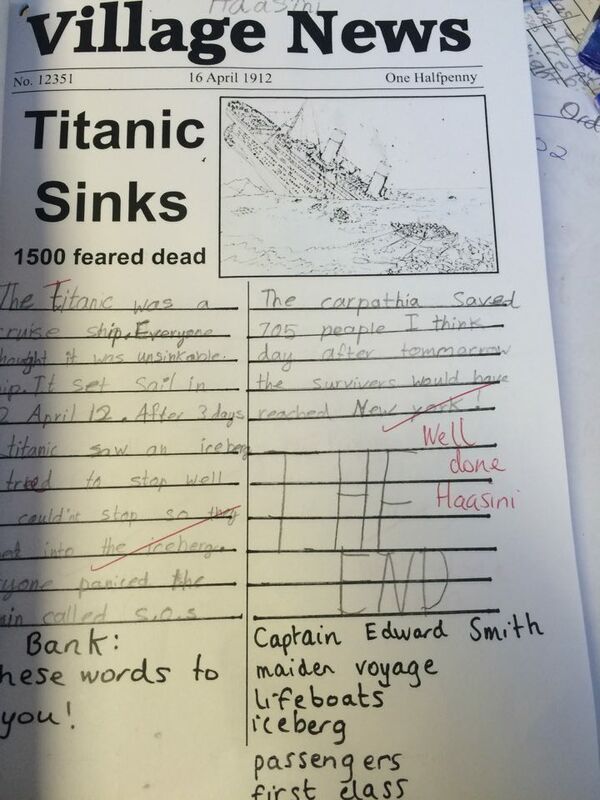 What would we bring onto the Titanic? 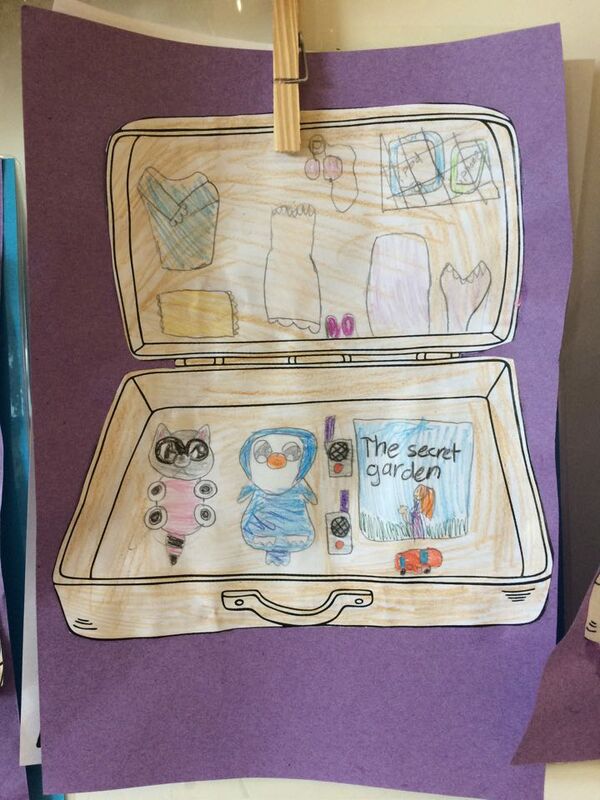 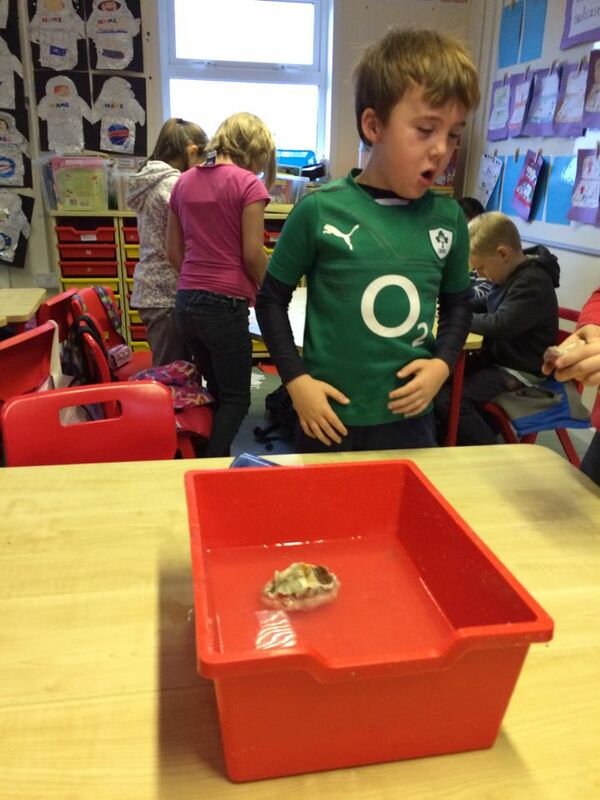 Then we thought about what we would bring if we were leaving on the Titanic to start a new life. 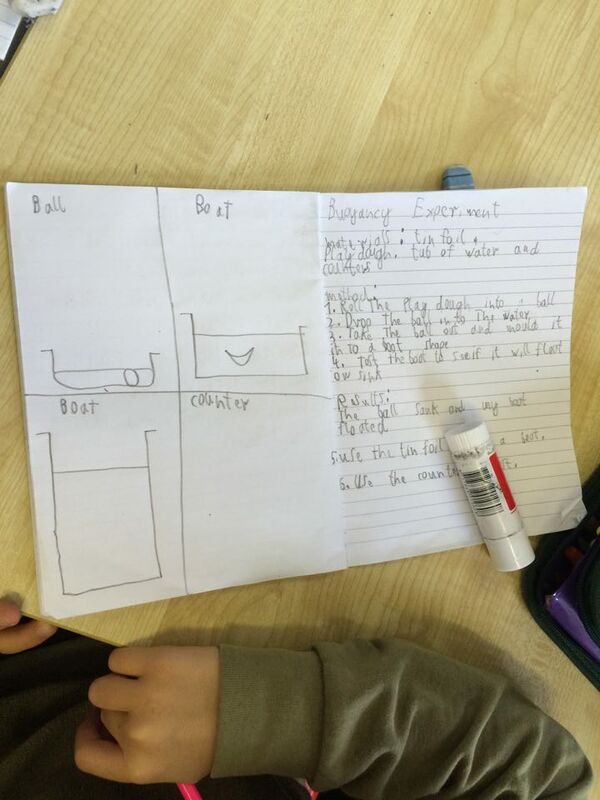 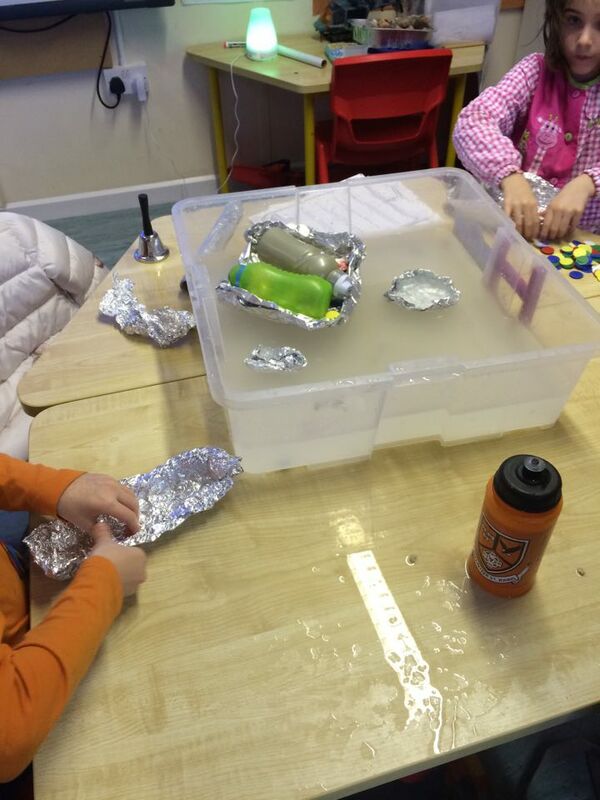 After that, we discussed buoyancy and discovered why some boats can float and some boats sink. 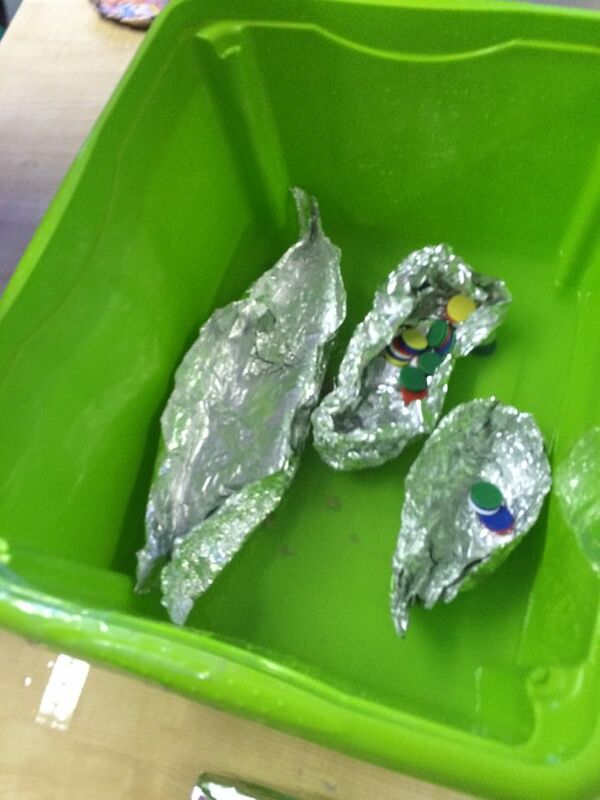 We made boats out of play-dough and tinfoil. 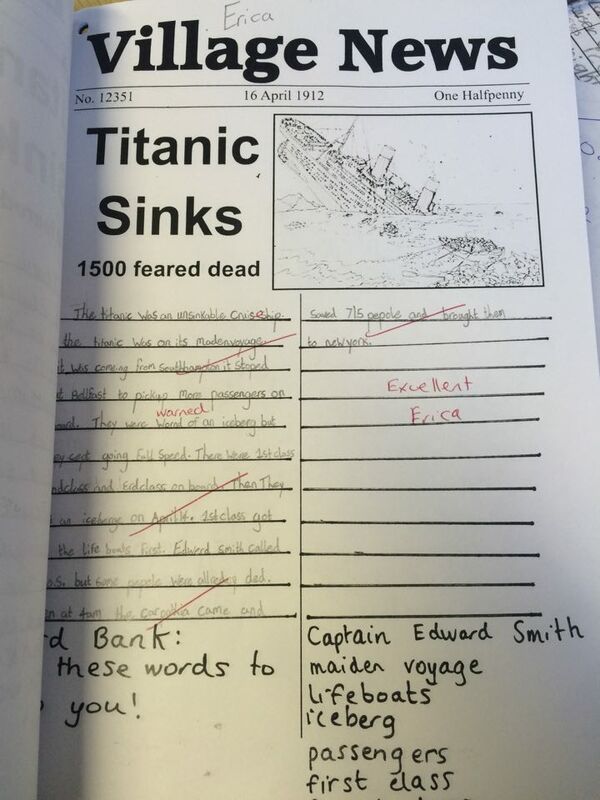 How did people find out about the tragedy? 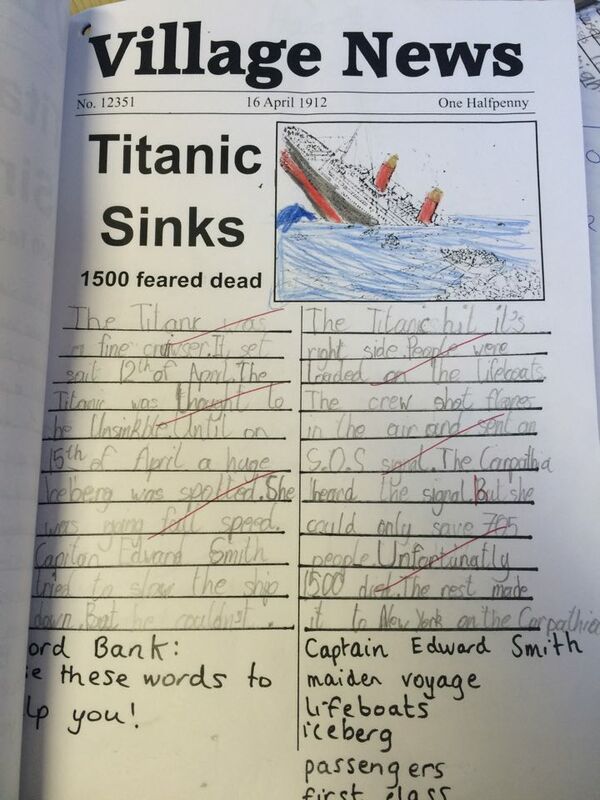 Finally, we wrote the first newspaper reports about the Titanic to make sure everybody knew what had happened!